Without making the link sonically blatant, on their 1988 masterpiece ‘Spirit of Eden’, Talk Talk were tapping into a continuum of English visionary music that had its eyes on the natural world and its roots in English folk culture. 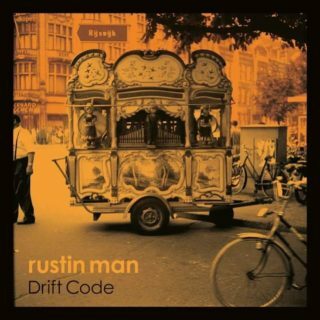 Something implicit in that record, then, is made explicit on ‘Drift Code’ by former Talk Talk bassist Paul Webb – now as Rustin Man. Continuing the glacial work-rate that marked the final (glorious) years of that band, this is Webb’s first record since 2002. It’s also a partial reunion of two parts of the triumvirate that was Talk Talk, with the appearance of Lee Harris on drums. Against a jazz-inflected, autumnal palette of swelling organ and sparse, glistening guitar, Webb’s voice has matured strikingly into something with all the oaky plainness of Shirley Collins or Robert Wyatt. Like Wyatt, Webb finds the sweet spot between the playful and the mournful, and is animated by philosophical questions and nature. Most successfully, this produces standout tracks like ‘The World’s In Town’, a reflection on alienation (the protagonist “drifting from day to day”) by an increasingly ominous planet that “keeps on turning like it’s never turned before”. Scenes of nature and the pastoral re-emerge across the record; “is that a mocking bird inside your crying eyes of stone?” asks Webb on single ‘Vanishing Heart’. He’s spoken of the “unfixed or uprooted quality” of this long-in-gestation record – this is one of its strengths, but also brings occasional misfires like the off-kilter barroom piano of ‘Light the Light’ and the confused Americana of ‘Judgement Train’.